It’s easy to think of CRM, and CRM software, as a tool that only the salespeople use. 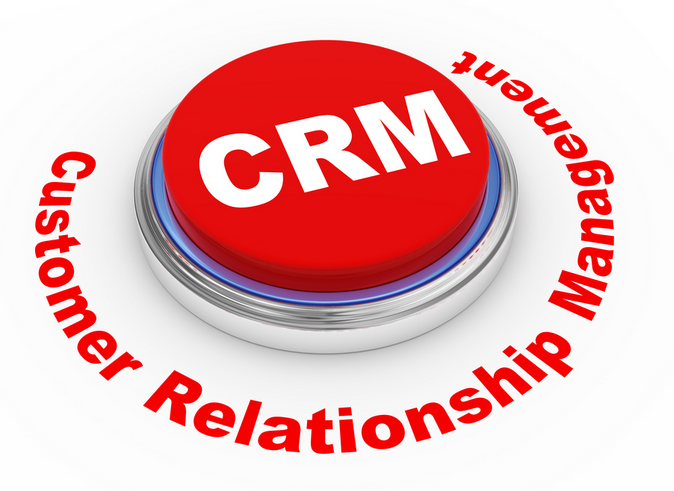 But great CUSTOMER RELATIONSHIPS (the “CR” in “CRM”) are built on much more than sales. So let’s take a look at some of the other components of CRM that will help you deliver a wonderful and consistent experience with every customer interaction. For many businesses, customer relationships are considerably more profitable after the initial sale. Implementing marketing programs aimed at current customers can be an important advantage in building customer loyalty and mutually beneficial relationships. Using CRM software as a marketing tool empowers you with the ability to plan, execute, and evaluate the performance of targeted marketing campaigns. You can segregate campaigns aimed at new business vs. those that are targeted to existing customers as well as track and measure every phase of a given campaign. Any good CRM software will include a marketing component and features that allow you to build a detailed profile of your customers over the course of your relationship to ensure that marketing communication is highly relevant. With the right information, your marketing team make can design effective promotions based on a customer’s previous purchases, product preferences, and other important characteristics of your relationship. Sales and marketing bring new customers to your business, but your Customer Service department keeps them with you for the long haul. CRM software also provides your customer service personnel with fast access to service requests, call and escalation history, recent customer communications, support cases, email communication, documents sent and received, and much more. Plus, all service and support activities are captured in your CRM solution so that you start to build a knowledgebase of common issues and resolutions. Your service reps can then use that knowledgebase to quickly resolve common challenges. Whether you sell products that require technical support or offer service agreements that continue well beyond the initial sale, CRM provides the tools you need to manage resources, quickly resolve issues, track customer requests, provide high quality service, and build long-lasting and loyal relationships. And with all of that information at their fingertips, you customer service reps will have a better opportunity to cross-sell complementary products and services. If you have service personnel that work in the field, then all that great customer information stored in your accounting system (or somewhere on the network) is rendered useless unless you can provide access to your field personnel. That’s where CRM mobility comes in. Using a mobile device, your field service reps have real-time access to customer contact information, account history, and can schedule follow up activities and appointments. Even if you’re not connected or can’t get a signal, you can work offline and then synchronize with your CRM database later. By enabling sales and service personnel to securely access a CRM system using the web or a mobile device, you’ll ensure they have information available to resolve customer issues quickly, place orders efficiently, and keep customers happy. These are just a couple of examples of how CRM software can benefit your entire business – not just your sales team. Contact us if you’d like to learn more about the CRM solutions we offer.